New York, N.Y. — October 4, 2018 — POV Shorts, American Documentary's newest broadcast series, launches October 1, 2018 on PBS and streaming on amdoc.org and PBS Passport. The series is one of the first on public television dedicated to independent short-form documentaries. All films will be made available on amdoc.org/watch on October 1. Packaged thematically with one to three films, episodes will be made available to PBS programmers on select dates through November. The series includes critically-acclaimed standouts including Earthrise and Give. The initiative is the first major project spearheaded by Chloe Gbai, who was hired earlier this year. POV Shorts will source films through a variety of channels, including through its open call for entries page (cfe.pov.org), individual pitches from filmmakers as well as films at festivals and from other distributors. As it has done in the past, POV will continue to work with other major short-form digital distributors, including The New York Times Op-Docs, Field of Vision and Conde Nast. “POV Shorts is taking what we’ve always done with shorts—finding great films—and giving them a public media audience both on broadcast and online,” said Chloe Gbai, POV Shorts and streaming producer. 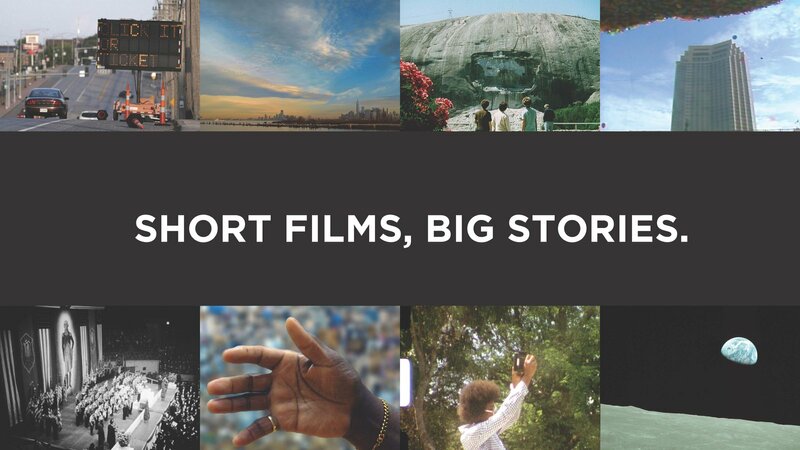 "The short-form nonfiction landscape is so dynamic and under-appreciated, and we're excited to not only showcase these shorts both online and on broadcast, but also provide filmmakers with a suite of our signature resources, including accompanying educational materials for select films, marketing and assistance with award strategy." A Debtors Prison: In the hometown of police shooting victim Michael Brown and the surrounding municipalities, a practice with historical antecedents has become systematic: the operation of modern-day debtors’ prisons. A Debtors' Prison follows two plaintiffs in an unfolding court case, Samantha Jenkins and Meredith Walker, as they describe the matrix of controls that subjected them to incarceration for being poor. Public Money: Across New York City, a bold experiment in participatory democracy is underway. Since 2012, the city council has steadily increased investment in a process called “Participatory Budgeting”, wherein community members gain a role in deciding how to spend part of a public budget. Following the process over one year in Brooklyn’s Sunset Park – a diverse neighborhood of Mexican immigrants, Chinese immigrants and predominantly white gentrifiers – this quietly observed, verité documentary asks, what happens when community members come together to discuss and decide what development should look like in their neighborhood? Balloonfest: In 1986, the aging city of Cleveland attempted a world record: to release the most balloons at once. Watch as an attempt to regain past glory and fame turns awry in Balloonfest. A Night at the Garden: In 1939, 20,000 Americans rallied in New York’s Madison Square Garden to celebrate the rise of Nazism – an event largely forgotten from American history. A Night At the Garden uses striking archival fragments recorded that night to transport modern audiences into this gathering and shine a light on the disturbing fallibility of seemingly decent people. Graven Image: Using over 100 years of archival footage, director Sierra Pettengill explores the history of the largest Confederate monument, Georgia’s Stone Mountain. GIVE: Challenging traditional documentary practices with experimental approaches to editing and sound, GIVE explores Roland Gordon’s motivations to create a monumental visual archive displaying centuries of black agency and achievements, in the United States and beyond.Roland’s collage, ‘Cloud of Witnesses’, is comprised of thousands of photographic portraits, newspapers, and magazines cutouts, presenting an alternative visual history to empower the black community. The film explores collective representations of history, memory, and culture; where pasts, presents, and futures are modeled by the blending of imagination, facts, and love. Into My Life: Growing up in the largest affordable housing cooperative in Brooklyn, Cassandra’s world was artfully framed by her mother’s Super-8 camera. Today, still living in the same place, Cassandra examines and edits these remarkable films, gaining insight into the challenges her mother faced as a creative black woman and the importance of her vision. Earthrise: Earthrise tells the story of the first image captured of the Earth from space in 1968. Told solely by the Apollo 8 astronauts, the film recounts their experiences and memories and explores the beauty, awe, and grandeur of the Earth against the blackness of space. This iconic image had a powerful impact on the astronauts and the world, offering a perspective that transcended national, political, and religious boundaries. Told 50 years later, Earthrise compels us to remember this shift and to reflect on the Earth as a shared home. Produced by American Documentary, POV is public television’s premier showcase for nonfiction films. Since 1988, POV has been the home for the world’s boldest contemporary filmmakers, celebrating intriguing personal stories that spark conversation and inspire action. Always an innovator, POV discovers fresh new voices and creates interactive experiences that shine a light on social issues and elevate the art of storytelling. With our documentary broadcasts, original online programming and dynamic community engagement campaigns, we are committed to supporting films that capture the imagination and present diverse perspectives. POV films have won 38 Emmy® Awards, 21 George Foster Peabody Awards, 12 Alfred I. duPont-Columbia University Awards, three Academy Awards®, the first-ever George Polk Documentary Film Award and the Prix Italia. The POV series has been honored with a Special News & Documentary Emmy Award for Excellence in Television Documentary Filmmaking, three IDA Awards for Best Curated Series and the National Association of Latino Independent Producers Award for Corporate Commitment to Diversity. Learn more at www.pbs.org/pov/. POV’s community engagement and education team works with educators, community organizations and PBS stations to present more than 800 free screenings every year. In addition, we distribute free discussion guides and standards-aligned lesson plans for each of our films. With our community partners, we inspire dialogue around the most important social issues of our time. Since 1994, AmDoc has driven new storytelling initiatives and interactive production for POV. The department has continually experimented with web-based documentaries, producing PBS’ first program website and the first Snapchat-native documentary. It has won major awards for its work, including a Webby Award and over 19 nominations. Now with a singular focus on incubating and distributing interactive productions, AmDoc's interactive team continues to explore the future of independent nonfiction media through its co-productions, acquisitions and the POV Labs, where media makers and technologists collaborate to reinvent storytelling forms.